Loft 3C is a bright, South-facing loft with a great room spanning over 26' in length and includes a separate den or office flex space. 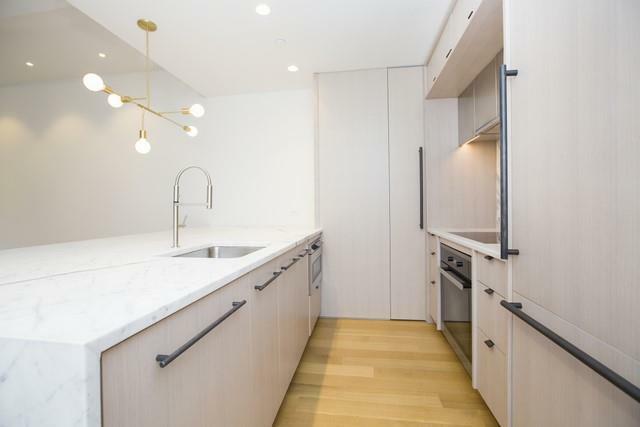 The spacious kitchen features a Miele appliance package including a state-of-the-art induction cooktop and hood, custom island design, Italian marble slab countertops and backsplash, wine refrigerator, and a built-in pantry. 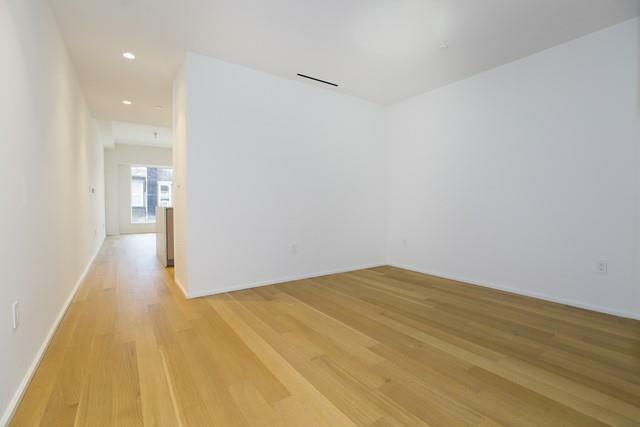 Additional features include a washer/dryer, up to 9'8 ceiling heights in living spaces, 5 white oak flooring, and oversized casement windows. 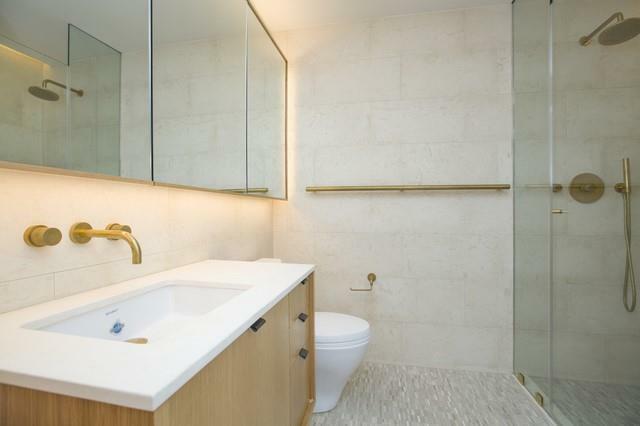 Building amenities include a common roof deck, fitness room with yoga studio, private and bicycle storage, and a part-time doorman supplemented by a virtual concierge. 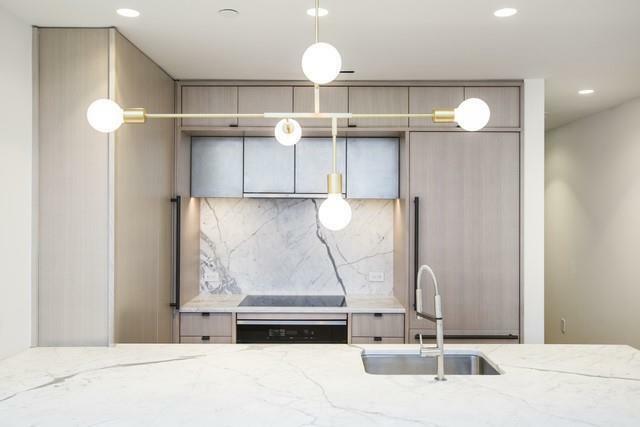 The Sorting House, located at 318 West 52nd Street, is a new condominium featuring sizable private outdoor spaces and ingenious, flexible design solutions for dynamic living. Designed by Architecture Outfit, the condominium comprises three stories of residences, expansive terraces, and a full level of common and private outdoor space atop a 1926 post office. The sleek brickwork and blackened steel casement windows of the renovated facade echo the preserved red brick and mullioned windows of the historic building, with the new residential entry and the updated post office entrance elegantly harmonizing.